Welcome to another edition of Po Politickin. In this episode, we politick with Midwest producer Maja7th. Maja 7th has captivated audiences, and formed new relationships to become an up and coming producer on the underground hip hop scene. 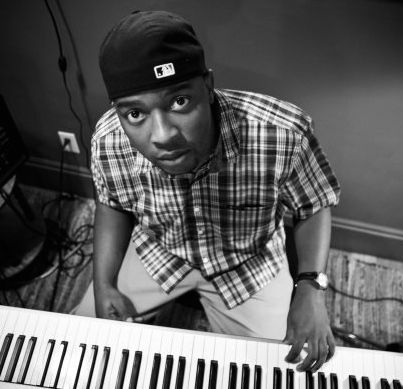 With placements such as being a key producer for the The Almighty album, “Original Sin -Strength In Numbers”, consisting of Wu-tang affiliate, Killah Priest, along with Bronze Nazareth, M-Eighty, Son-one, Crayz Walz and 5 Star (2008) to his first solo project The Breakout which featured artists such as Freddie Gibbs, Mikkey Halsted Pill, L.E.P Bogus Boys, GLC, YP and other artists from Chicago. The video for Maja7th’s track On My Own featuring Freddie Gibbs and Mikkey Halsted was also featured on MTV JAMS in 2010. He has also worked with artists such as Add-2(Jamala), Real Talk, Neak ,Dominique Larue and Mike Schpitz to name a few.